If you are looking for videos for your Blogs, WittyPen can help. All you have to do is place an order with Video Addon selected. We are currently offering videos at a flat rate of ₹999. Go to New Order page and select Single Content. 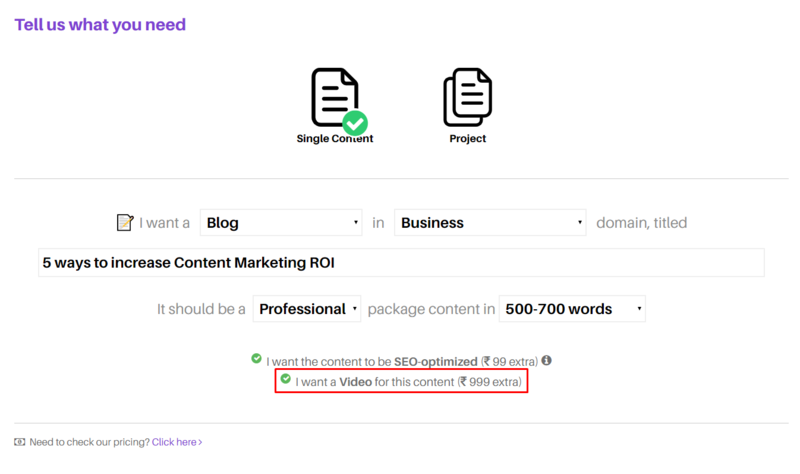 Video will be generated for the content written by the Writer. You will receive the content with your video by the mentioned deadline.